Compare Activa 4G, 3G, I, 125 Vs Jupiter – TVS Jupiter is the one that might give a tough competition to the emperor of Scooters in India Honda Activa. TVS Jupiter’s design is quite ergonomic and everyone is quite impressed with the innovation they have brought in the scooter industry. Honda Activa might be synonymous with the standard scooter but TVS Jupiter is the most beloved scooter in India due to its comfort styling in its design. The price of TVS Jupiter is so aggressive that it falls in the category of Honda Activa I. In Delhi, Activa 3G’s ex-showroom price is INR 49,900 whereas Jupiter is tagged at INR 48,809 in the ex-showroom. Mileage is 42-52 kmpl for Activa 3G. But, TVS Jupiter gives a mileage of 45 to 55 kmpl on Indian roads. TVS Jupiter fuel tank capacity of 5.0Lwhereas Activa 3G has 5.3 L of fuel tank capacity. In terms of cc engine, both the scooters are same. Both have 109.7 cc engine in it. When top speed is compared, both have the same top speed of 85 kmph. So, top speed cannot be used to decide which one is better of both the scooters. We really appreciate the price of TVS Jupiter. The cost of TVS Jupiter is INR 48,809. The cost of Honda’s Activa 125 Dlx in Delhi’s ex-showroom is INR 60,500. Activa 125 has a mileage of 50 to 55 kmpl. TVS Jupiter has the mileage of 45 to 55 kmpl. The mileage is comparable in both cases but the fuel tank capacity of Jupiter is 5 L only. 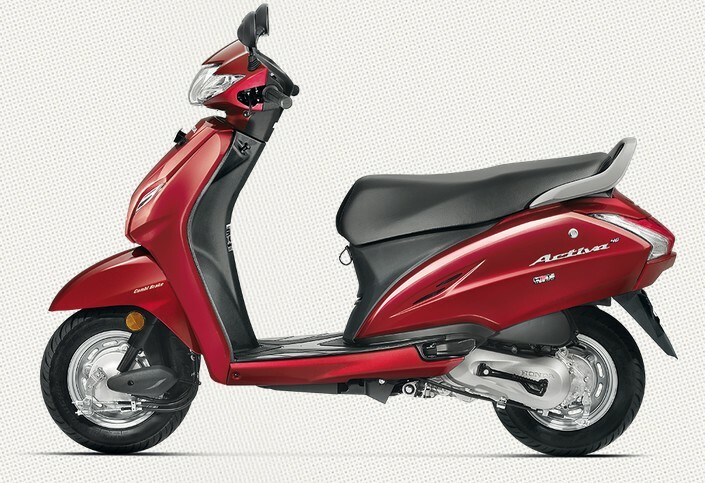 Fuel tank capacity of Activa 125 is 5.3 L.
Both the scooters have same cc engine that is 109 cc engine. Top speed is again same in both the scooters. The maximum speed both can reach is 85 kmpl. Activa i is available at a price of INR 47,000 in Delhi ex-showroom whereas TVS Jupiter falls into the same range. The price of TVS Jupiter is so aggressive that it falls in the category of Honda Activa I. The cost of TVS Jupiter in Delhi’s ex-showroom is INR 48,809. In terms of mileage, Activa I gives a whooping mileage of 66 kmpl whereas Honda Activa I gives a mileage of 45-55 kmpl. Even the 5.3 L fuel tank capacity of Honda Activa i is more than 5 L of fuel capacity of TVS Jupiter scooters. Activa I has not been designed for cc lovers. It has only 102 cc engine whereas TVS Jupiter flaunts 109.7 cc engine. But, this can be compensated when you see the great mileage of Honda Activa I series scooters. When we are measuring the top speed, then TVS Jupiter is better than Honda Activa i. TVS Jupiter has the top speed of 85 kmph. Honda Activa I has the top speed of 85 kmpl. VERDICT: If you are inclined towards buying Honda Activa I, then you should better buy TVS Jupiter. 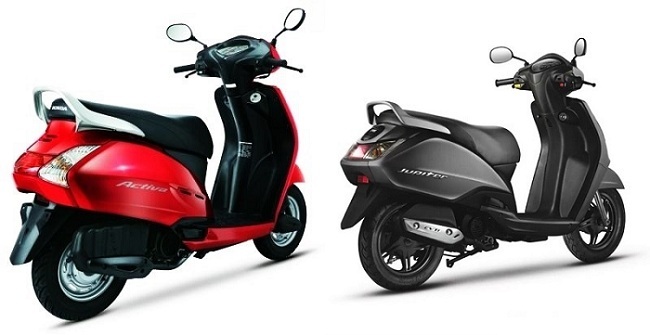 Otherwise, Honda Activa 4G and Honda Activa 3G has remained our top choice.